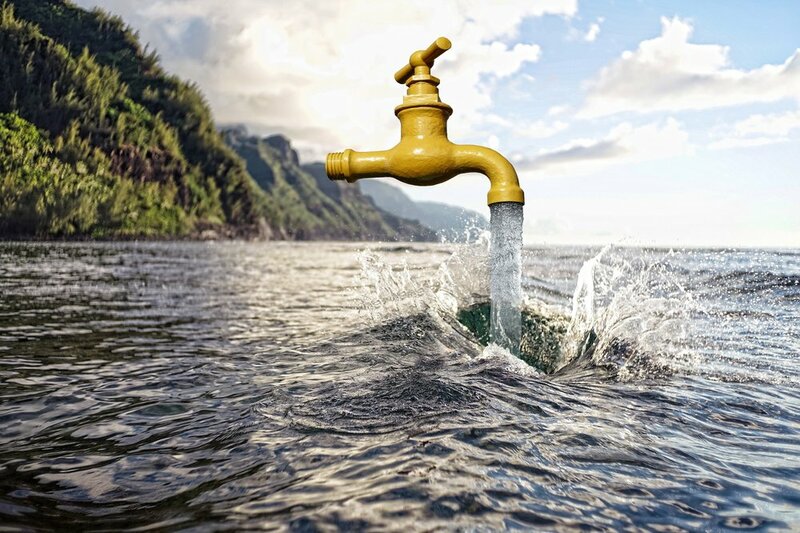 Tap water was sampled from more than a dozen nations. Scientists found that 83 percent of the samples contained plastic, and that U.S. samples had the highest contamination rate: 94 percent. The UK, Germany, France and other European countries had the lowest contamination rate—72 percent. The average number of fibers found in each 500ml sample ranged from 4.8 in the U.S. to 1.9 in Europe. The study points out that the U.S. doesn’t regulate plastic particles in drinking water, while the European Union requires member states to protect tap water against all sources of pollution. In April I wrote a column about how microfibers from synthetic clothing are mucking up our oceans. As these clothes are laundered, they shed thousands of tiny microfibers, small enough to pass right through wastewater treatment plant filters, out to our bays and oceans — into the mouths and guts of fish, and possibly into ours if we consume them. Plastic is everywhere. Plastic bags, Styrofoam, synthetic textiles, paints and tires are all major sources of plastic, which fragment into micro-plastics. But now we find that micro-plastics have not only pervaded our oceans, but also our drinking water. While the real health risks of ingesting drinking water with micro-plastics is unknown at this time, these findings are worrying. According to one researcher quoted in the Guardian article — Dr. Anne Marie Mahon at the Galway, Mayo Institute of Technology in Ireland — there are two principal concerns. First, the tiny size of micro-plastics might allow them to penetrate cells and organs. Second, micro-plastics are known to contain and absorb toxic chemicals, which can be carried into the gut through drinking water. “If plastic fibers are in your water, experts say they’re surely in your food as well — baby formula, pasta, soups, and sauces, whether from the kitchen or the grocery. Plastic fibers may leaven your pizza crust, and a forthcoming study says it’s likely in the craft beer you’ll drink to chase the pepperoni down,” the Orb study notes. U.S. wastewater plants catch anywhere from 65 to 92 percent of micro-plastics that end up in sewage; the rest continue into rivers and streams. So scientists conservatively estimate that 64,000 pounds of plastic fibers are dumped into America’s public waterways everyday. This latest news about plastic in drinking water overwhelmed me. All I could think of to do immediately to protect my health was head down to my local plumbing supply store to buy a replacement cartridge for my kitchen’s drinking water filtration system. The brand of cartridge that I bought states that it removes particles as small as .5 microns. It might help, but the tiniest (and possibly most dangerous) particles might still slip through. I wonder, now that we are starting to grasp the potential health risks of plastic pollution, will our country and other nations manage to come to grips with this global problem? Will we as a society be able to find substitutes for plastic and phase out plastics on a grand scale? Or will humanity follow the same path of denial that we have followed with climate change?